Much thanks to Cultivate Wellness for the meeting space. 1. Communication between groups: there are 3 methods of communication right now, the FB group (https://www.facebook.com/groups/MendocinoCountyHerbGuild/about/ ) , the Yahoo group (https://groups.yahoo.com/neo/groups/MCHerbG/info ), and email. We decided to try to get a Google calendar up on the website for use. There will be a monthly email that will go out with a report from each pod. Coordinators of each pod will contact Leslie by month end and then email will go out to the larger group. Its complicated because not everyone has FB and not everyone is using the yahoo! group. We will keep trying to communicate. 2. Meetings: Next full Herb Guild meeting will be August 29 ( time and location TBA.) Next Herb Collective meeting is July 18 at the Library 5-7pm. The Herb Collective meets every 1st and 3rd Wed of the month from 5-7PM. – FIRE CIDER POD: there will be another bottling this Friday June 29 at 4:30 pm at the Grange kitchen.. MANY HANDS are needed. Please come help out. * Mariposa is carrying the first batch called Spring Vitality and are selling it by shots at the juice bar. * Three versions of the label were passed around and the one with highest votes was chosen. – STUDY GROUP POD: Had 6 meetings in winter. * Last two meetings have been rotating at peoples houses and have toured gardens. Attendance has been low. * Decided to change the name of the group to Education Pod, and be more fluid about when events are held. – HERB COLLECTIVE/EXCHANGE POD: name is still being decided. * Goal remains to link cultivators with medicine makers with herbal product and help find markets to take finished product to sell. * We plan to work on developing some sorts of standards of practice.. growing, cultivating, harvesting and processing ~ we will give educational talks on this so that we all have the same basics. * At the Farmers Market Herb Guild Booth, we will bring sign up sheets to collect names of people/farmers that have land to grow herbs on or that are growing herbs and of people that are looking for certain herbs to begin the process of writing a Herbal Exchange Resource Directory. * Miguel _____ is looking to make a herbal first aide kit to take to festivals. He is looking for products from local herbalists. Contact: _____ . * At the Farmers Market there is now a Herb Guild Table. * We are in the process of trying to get a page with the Mendo Lake Food Hub so that Herb Guild Members can list their products. .. it is in process. Announcement to come. * If you are interested in selling or buying local herbs, please contact quinn@sunwaterproductions.com – he has volunteered to be the point person until the directory is up and running. – FARMERS MARKET POD: Annapurna is in charge and has a shade structure and tables and a sign for the Herb Guild. She is willing to be there and to sell your product for a 20% commission.. 10% to her, 10% to the Guild. * You will need an Ag permit to sell fresh or dried herbs. Fill out the form below for a Certified Producers Certificate. You must print and hand-write the information, then submit it to the county Ag Dept. in Ukiah. There is a $25/year fee. * Tinctures seem to be in a grey area ( please ask Annapurna for more info ). * Candies and food products (herbal pesto, honey, etc.) must be made in a certified kitchen. * We can bring fresh or dry herbs on a donation basis ~ no paperwork needed. – GRANT WRITING: Mountain Rose is offering a $4000 grant. Donna and Rachel are in the process of attempting to get the grant. The vision is of a mobile classroom/apothocary to teach and provide at schools/events/festivals. * Video to be made.. deadline before August 1, 2018. Quinn and Kami expressed interest in making the video. 4. A statue ~ Venus de Willendorf has been donated. We will set up a raffle to see who the lucky new owner will be. 5. There is a new store in Mendocino looking for local herbal products to sell. Name of store not known at this time. 6. 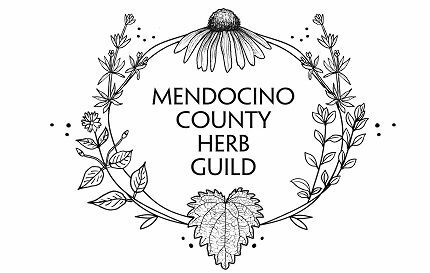 NEXT MEETING: Full Herb Guild Meeting August 29, Mendocino Herb Collective July 18 @ 5 @ Willits Library. Thanks all for coming out to meet up.